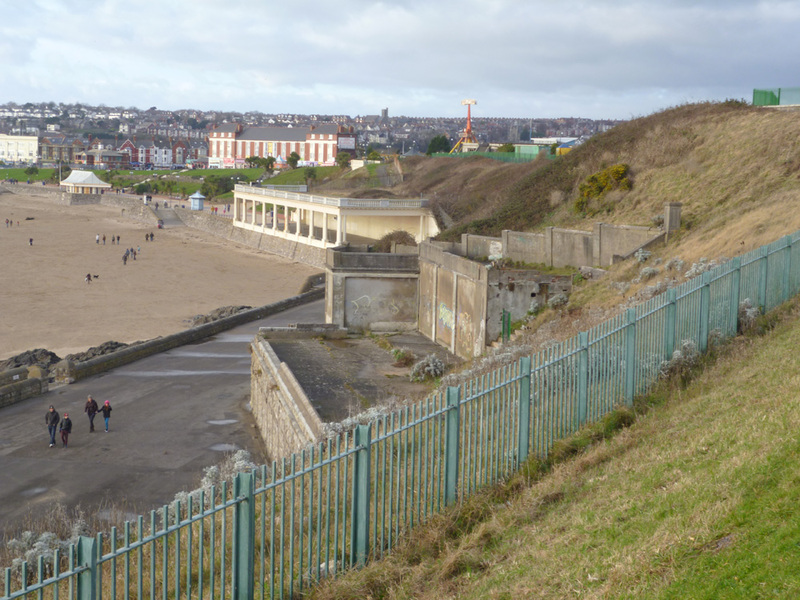 The Urbanists were commissioned to produce a design concept to establish how the Eastern Promenade at Barry Island could be transformed. The area was seldom used by visitors to this popular Welsh beach, largely due to the degraded environment and the lack of attractions at this end of Whitmore Bay. We worked closely with Atkins, Council officers, Welsh Government and local stakeholders to develop a concept attuned to the needs of the resort, the unique environment of the area and the substantial opportunities offered by the site. Our approach was to design a new revetment to contain a series of intersecting walkways that would link the beach level to a clifftop pathway and car park and redirect footfall to this part of the bay. This walkway would link new assets, such as beach huts, public facilities, refurbished buildings and a public art feature. Our concept was taken to detailed design by Vale of Glamorgan Council and a local architectural practice, PJ Lee and the scheme was officially opened in February 2015. The site has already succeeded in extending pedestrian activity to the 'new' end of the promenade and has received positive reviews from local and international media.